You’re feeling anxious about sending your child off to kindergarten, and rightfully so. Kindergarten is, after all, kind of a big deal. Whether your kid has been in preschool since age two or is gearing up for their first-ever experience in a classroom, the changes are big and the landscape of rules, school supplies and bus stops can seem overwhelming to navigate. The good news is the insecure little hand you let go of on day one will be the same one that waves excitedly at you when getting off the bus on the last day. The difference a school year makes is staggering and, as any parent who has survived will tell you, there are a few tips and tricks that can make the transition easier on kids and parents alike. 1. They need to know more than their ABCs and 123s. 2. Don’t be afraid to be your child’s advocate. Heather Lane recalls being hesitant to be assertive about son Daniel’s peanut allergy when he began kindergarten last fall. She quickly learned, however, that parents should be prepared to be fierce and to fight the school over anything that makes them feel that their child is unsafe. “Although more schools are aware of food allergies these days, they’re not always sure of what they need to do to keep your child safe,” Lane says. She recommends meeting with school nurses, administration and classroom teachers to develop a plan that makes you feel comfortable and ensures that your kid will steer clear of problem foods and allergens. When Liz Christianson’s autistic daughter, Elle, began kindergarten, she focused on establishing a friendly relationship with the teachers and aides at her school. “Be respectful and calm when difficult moments arise — it will really help the teachers be open to listening to your advice and ideas,” offers Christianson. 3. Be involved in your child’s classroom experience. A key way to stay in touch with your child’s teacher and be aware of classroom happenings is to volunteer at the school. Dad Prashant Udeshi says that while the lack of individual communication from the school surprised him, volunteering in daughter Priya’s kindergarten class proved to be a rewarding way to be involved in his child’s education. “At this age, the kids will be excited to see you, and you’ll get to know the other kids in the class as well as the teachers,” offers Udeshi. With the beautiful array of bento-box lunches seen on Pinterest, it can be hard for parents to resist packing intricate lunches for their little ones. However, school reading specialist Amy Shandrowsky says from her inside view, she’d recommend parents pack items that can be eaten quickly and that kids can open independently. “By the time they walk to the cafeteria, find their seat, and wait for someone to open their lunch items for them — they only have a few minutes to eat,” says Shandrowsky. “Make sure they can open all of their own lunch containers. Make sure they can open their own yogurt tube or bag of fruit snacks. Make sure they can stick a straw in a juice box. And don’t send in a ton of food — they don’t have time to eat it,” adds Lane. Too cool for school? 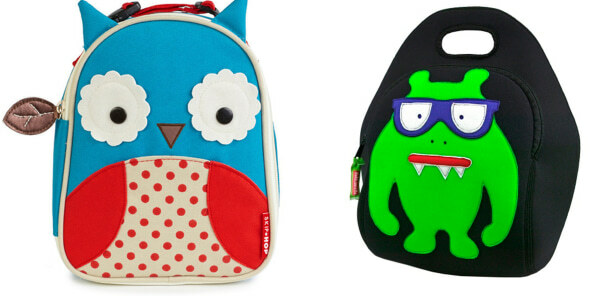 Not with these creative lunchboxes that will keep your food fresh and your kid happy. 5. Don’t take the basics for granted. Shandrowsky also says that she sees children daily who don’t know proper bathroom etiquette or become afraid when sent to the bathroom alone. “Often, school is the first place children use a bathroom by themselves. It helps if someone at home reviews things like washing hands or flushing the toilet with them,” says Shandrowsky. "I did it, Mom!" Daniel Lane at the end of his kindergarten school year. 6. Know that kindergarten is exhausting. Other ways to help your little one recover from the long school day include setting a stringent bedtime and working on a morning routine that allows kids as much sleep as possible. Once your child is in bed, consider laying out the next day’s clothing and deciding what will be served for breakfast, to keep things running smoothly. 7. It’s okay for you to be emotional. Sending your baby off to kindergarten is a bittersweet event, and it’s normal for there to be tears from both you and your child. Wendy Elkins has sent three of her kids to kindergarten and says the emotion has been there each time. “It’s a big change for one of your wee ones to leave home for most of the day! Letting go is hard, and kindergarten is one of the hardest times. I’m crying just thinking about it,” says Elkins, whose fourth child starts kindergarten next year. 8. Teacher says: Your child will be fine, and so will you. Kindergarten teacher Kristen Weaver says that, while there may be hurdles to overcome during kindergarten, parents should remember that it’s their child’s first official schooling experience, and that it’s important for parents and teachers to work together to make kindergarten a successful experience for each child. “The most genuine thing I tell parents is that the amount of progress — physically, socially, academically, emotionally — that their child will make throughout the school year is truly a special experience to watch unfold,” says Weaver.